Are you a first time home buyer, you are buying your first home, looking for first time home buyer tips, first time home buyer loan? Simply contact us to get answers to all your question on how to buy a house and see what programs are available for First Time Home Buyers. 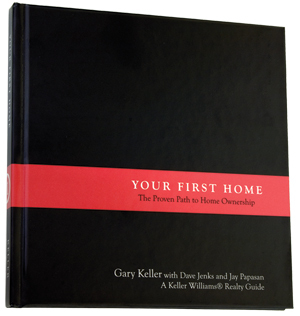 Submit the form to receive a complimentary copy of Your First Home. Please fill out the form above to request your copy. Buying a house is the most expensive and stressful investment you make. Specially, for the First Time Home Buyers, this could be the most stressful investment they ever do in their lives. If you currently pay rent, you can always find a house that you can afford to pay the mortgage. But, if that house does not meet your requirements (e.g., location, features you want, etc.) is another question. First create your wish list, Then see how much you can afford using a simple calculator or strongly suggested to contact your lender to find out how much you can afford. 2. Should I wait until the real estate market gets better? Historically, focusing on the market is never the smart, approach to buying the right home. Remember, real estate is a long-term investment and it’s the long-term factors that make it a solid investment. With the help of your real estate agent, you can find a home that meets your criteria and is a smart purchase in any market area and at any time. 3. How much money must I have for down payment? There are many loan programs available requiring from no down payment to higher than 5% of the purchase price. There are also special program available to the First Time Home Buyers, with no or very low down payment with a lower interest rate. Contact your lender (or see of the lenders in Collin County) to see the availability of the latest loan programs for First Time Home Buyers. 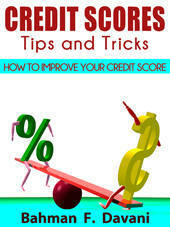 The best recommendation is to talk to your loan office and see how your current credit is. Then, based on your credit, he or she may be able to find you a lender that is willing to give you a loan, or at the worst case, he or she might give you some suggestions or refer you to a credit counselor to help you improve your credit. 5. Is there any program available to help me for down payment and/or better rate? 6. Should I buy or rent? What are the advantages or disadvantages of buying vs. renting a home? Low prices and record low interest rates, has made buying home more affordable than it’s ever been AND a bargain compared to renting. One may ask why people renting instead of buying a house specially now, and how much they would benefit if they buy instead of renting? See answers to these questions Click Benefits of Buying a home vs. Renting or my blog at activerain. Click Buy or Rent Calculator to estimate economic saving when you buy vs. rent a house. 7. I am not familiar with the buying process, but it seems it is very complicated and time consuming and I don’t know what to do. There are a lot of details to be handled when purchasing a home. The following is an overview of this process. Click Buying Process to see the steps to buying a house. This overview is designed to summarize the various steps along the path of qualifying, finding and buying a home. It is your real estate agent’s job to streamline the steps for you, ensuring everything is completed according to plan. 8. For singles: Should I wait to buy a home until I get married? The National Association of REALTORS® reports that 38 percent of First Time Home Buyers are, in fact, single. They didn’t wait, so why should you?